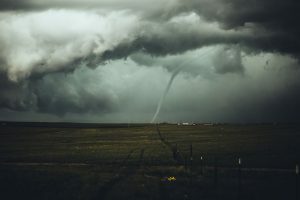 In this article, we look at how NYI’s HDRaaS for VMware Cloud on AWS, fueled by Faction, offers a reliable and cost-effective cloud disaster recovery platform for VMware users. On a long enough timeline, every business will suffer an infrastructure outage. The complexity and fragility of server and network hardware guarantees the occasional failure. Businesses can reduce the likelihood of failure, but they can’t eliminate it. They can, however, influence the impact that outages have on their business. Will an outage cause extensive downtime and loss of revenue, or will it be a minor blip that customers barely notice? A company’s readiness and disaster recovery planning determine the answer to that question. In our last article about cloud disaster recovery, we discussed how the cloud puts cost-effective DR within reach of every business. Here, we’ll take a deeper look at how NYI’s Hybrid Disaster Recovery-as-a-Service for VMware Cloud on AWS solution helps businesses with a VMware-based cloud infrastructure to eliminate downtime while keeping DR costs under control. Until recently, disaster recovery options for VMware vSphere users weren’t all that attractive, especially for those running on-premises VMware private clouds. It has long been possible to replicate virtual machines to redundant infrastructure, but a reliable disaster recovery platform involves much more than simple replication. Much of the work building and managing disaster recovery infrastructure was left in the hands of each business’s IT department, inflating costs and consuming resources that could have been dedicated to other projects. In addition to which, VMware disaster recovery is prohibitively expensive. Disaster recovery infrastructure may be costlier than production infrastructure, given the requirements for infrastructure management at a distant location and replication hardware and software. Businesses may try to control expenses by opting for used or deprecated hardware, reducing reliability. And, even so, businesses pay for infrastructure that is 95% dormant. There was no cost-effective way to replicate VMware virtual machines to on-demand cloud infrastructure. NYI, through our partnership with Faction, now solves many of the problems businesses have faced with disaster recovery for VMware infrastructure, providing low-cost, on-demand, and deeply customizable disaster recovery. VMware Cloud on AWS (VMC) is a cloud platform that combines the advanced virtualization features of VMware vSphere with Amazon’s data center expertise and massive scale. It targets enterprise organizations that want to migrate vSphere workloads to Amazon’s data centers. VMC is a VMware software-defined data center (SDDC) running on bare metal in Amazon’s data centers, sold and operated by VMware and partners. It is capable of providing full operational consistency with on-premises private clouds and SDDCs. Workloads running on VMC have direct access to a full range of native AWS services. VMware Cloud on AWS is an excellent disaster recovery option for businesses that run VMware cloud infrastructure. Compatibility is a significant hurdle for VMware users seeking to migrate workloads to the cloud. With VMware Cloud on AWS, vSphere workloads run as expected without requiring compatibility fixes. But there are limitations to using VMware Cloud on AWS for disaster recovery. As we said earlier, a disaster recovery solution is more than just infrastructure. VMware Cloud on AWS provides none of the additional tooling, systems, and integrations that are required of a reliable disaster recovery solution. Furthermore, vSphere virtual machines run on Amazon’s bare-metal cloud. The bare metal servers have to be paid for whether or not the client is using the full compute capacity the server makes available. A benefit of cloud disaster recovery is on-demand infrastructure. Businesses need to migrate and store machine images, but they shouldn’t need to pay to run servers they aren’t using. NYI’s Hybrid Disaster Recovery-as-a-Service (HDRaaS) solution adds a layer of infrastructure and tooling around VMware Cloud on AWS to create a fully managed disaster recovery solution that costs significantly less than using VMware Cloud on AWS directly. Businesses face challenges achieving acceptable Recovery Time Objectives (RTO), Recovery Point Objectives (RPO) on traditional disaster recovery infrastructure. All VM resources and applications must be assessed for criticality and tiered according to RTO and RPO needs — this step is frequently neglected, creating prioritization issues during a disaster recovery event. Compliant infrastructure is expensive and, to control costs, businesses often choose to locate DR solutions in non-compliant facilities. HDRaaS provides a number of features that help businesses overcome these challenges. Businesses can create Application Consistency Groups and Priorities to ensure that infrastructure recovery is correctly prioritized. Runbook functionality clearly describes how infrastructure should be recovered. Amazon’s data centers are enterprise-friendly and compliant with industry standard regulatory frameworks. And we make it easy and inexpensive to carry out comprehensive testing so that users can be sure their recovery point and recovery time objectives are achievable. Reduced Costs. Our cloud platform is located at all US VMware Cloud on AWS locations, with high-speed network connections to AWS. VMware workloads are replicated and stored on our infrastructure. During a disaster recovery event, the workloads can be quickly spun up and migrated to VMware Cloud on AWS. Customers only pay for the AWS resources they use during DR events plus the cost of a “pilot light” infrastructure for storage, the domain controller, and replication software. This warm standby approach to disaster recovery reduces the costs of DR by 20-80%. Increased Flexibility. VMware Cloud on AWS provides limited options for data transfer. A key benefit of NYI’s HDRaaS service is compatibility with alternative replication strategies, including RAID-based replication, Dell EMC and NetApp Array-based replication options, and support for popular VM replication platforms such as Zerto, Veeam, and Cohesity. This allows businesses to leverage VMware Cloud on AWS without extensive modification to their current replication strategies. Added Value. The hybrid solution also allows for the addition of value-added services that improve the convenience and security of the disaster recovery platform, including backups, external storage, and two-factor authentication. Complete Focus. NYI is laser-focused on managing and maintaining DR infrastructure for complete reliability. In-house DR solutions are seldom given the priority they deserve. That’s understandable: your company’s IT teams have many competing priorities. But the team behind HDRaaS has one priority: ensuring the servers, software, and networks that support their clients’ DR plans are completely reliable. NYI’s HDRaaS for VMWare Cloud on AWS is a complete DR solution for businesses that depend on the availability and reliability of their vSphere workloads. HDRaaS users benefit from our DR and infrastructure expertise, and our commitment to helping clients take full advantage of a highly customizable cloud disaster recovery solution. We will work with your team to design a custom DR plan, identifying mission-critical and priority applications, creating a strategy that delivers optimal Recovery Time Objectives and Recovery Point Objectives. Testing is a critical component of any DR plan: without extensive and regular testing there’s no way to be sure that DR plans can be executed with the required consistency and reliability. Two seven-day test periods are included in your NYI HDRaaS plan each year to allow for comprehensive testing without disrupting your business’s operations. To learn more about how NYI HDRaaS for VMware Cloud on AWS can make your business more resilient to human error, hardware failure, and natural disasters, fill out the form below, and we’ll be in touch soon. So Dropbox Dropped AWS. Here’s What It Means For You.